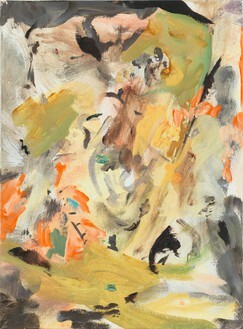 Gagosian Gallery is pleased to present an exhibition of paintings and works on paper by Cecily Brown. 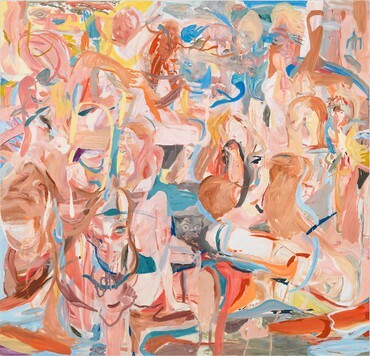 Drawing broad inspiration from many forbears, from Hieronymus Bosch, Pieter Breughel the Elder, and James Ensor to the abstractions of Arshile Gorky and Philip Guston, Brown brings to the conventions of a traditionally male-dominated history an assertive and, at times, ribald femininity. 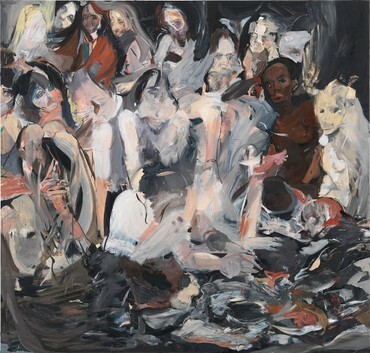 Revisiting scenes from popular culture as well as Old Master imagery, she creates a personal vision that transcends classical notions of genre and narrative. 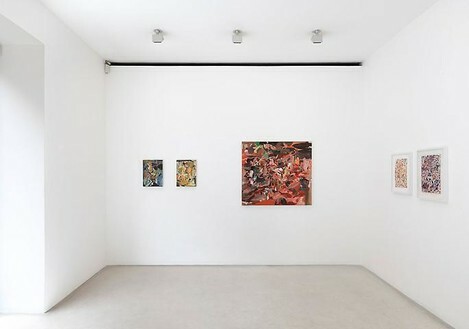 This series of intimately scaled works was primarily inspired by Michelangelo’s earliest attributed painting, The Torment [or Temptation] of St Anthony, as well as following on from Brown’s own studies after Struwwelpeter’s The Story of Fidgety Phil from 2006 to the present. 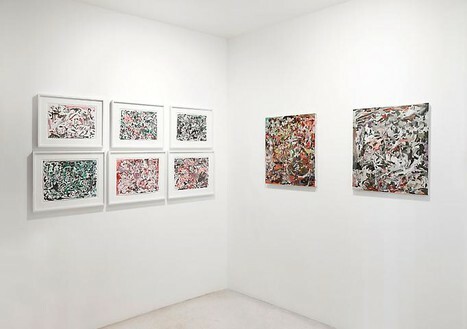 These small and intricate paintings contain the same expressionist intensity and formal complexity common to many of her larger works. 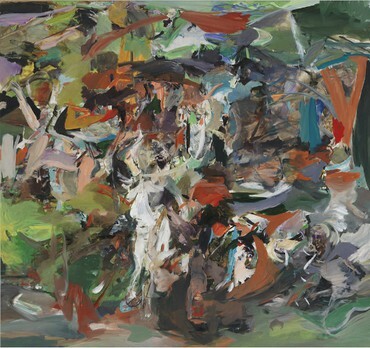 Provocative tension is generated between formal properties and sublimated figural content in dense compositions where tangles of flesh dissolve into inchoate sensuousness. 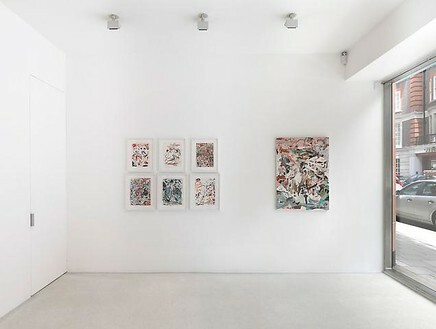 For the first time, Brown is showing gouaches and watercolours together with her paintings, in which she communicates tactile immediacy in an almost cartoon-like manner. They pulse with vitality, their jostling, tumbling forms and clear, vivid palette containing furiously compressed energies. 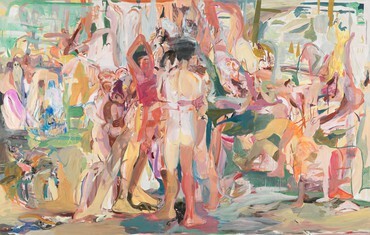 Cecily Brown’s work is included in many public collections including the Solomon R. Guggenheim Museum, New York; Whitney Museum of American Art, New York; and Tate Gallery, London. 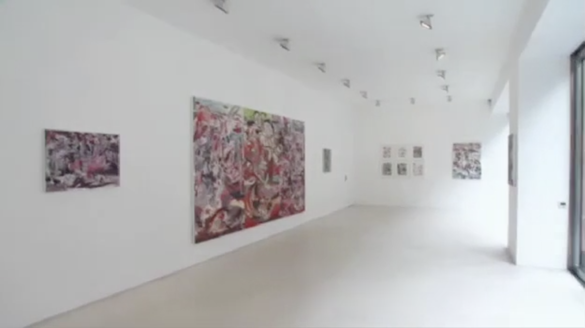 Solo exhibitions include Hirshhorn Museum and Sculpture Garden, Washington, D.C. (2002); MACRO, Rome (2003); Museo Nacional Centro de Arte Reina Sofia, Madrid (2004); Museum of Modern Art, Oxford (2005); Kunsthalle Mannheim (2005-2006); Des Moines Art Center, Iowa (2006); The Museum of Fine Arts, Boston (2006-2007); and Deichtorhallen, Hamburg (2009). 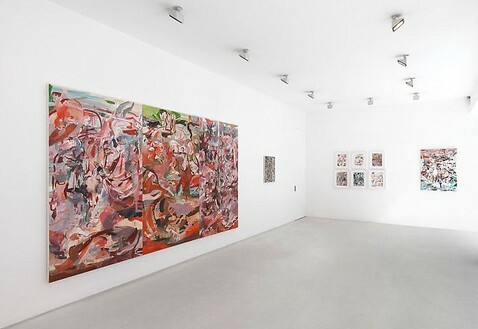 Her most recent exhibition, “Based on a True Story”, traveled to GEM, Museum of Contemporary Art, The Hague, and Kestner Gesellschaft, Hannover in 2010.